Just5 is an international brand of designer and manufacturer of simple mobile phones created in Latvia. Development of phones is conducted since 2008, the trade mark Just5 is introduced to the market on October 5, 2009. Just5 sales in Europe started in the first quarter of 2009. In Russia and the USA Just5 products were introduced in the third quarter of 2009. 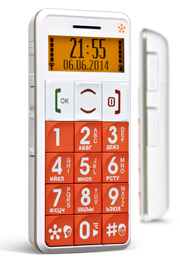 March 2009 – Mobile phone with big keys Just5 CP09 was awarded iF Product Design Award. 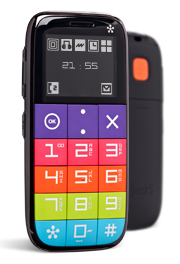 March 2010 - Mobile phone with big keys Just5 CP10 was awarded iF Product Design Award gold. In 2009 – Brand Just5 – was awarded Grand Prix in nomination "New name" in prestigious competition THE BEST BRAND/EFFIE. 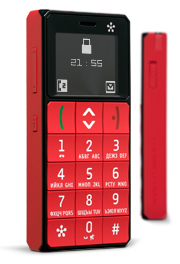 In spring 2010 — Mobile phone with big keys just5 CP11 was awarded Red Dot. In 2013 — Release of phone Just5 Brick, design of which was developed by Art. Lebedev Studio. 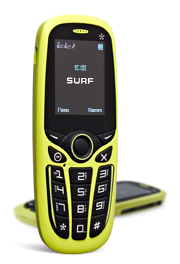 The phone's style reminds telephones of 90s -so called "bricks": right angles of the case, big keys and large prints. In 2013 — Release of smartphone Just5 Spacer. The model on the Android basis became the first smartphone of the brand. September 2014 - Release of second Just5 smartphone - Just5 SPACER 2. December 2014 - Release of Just5 smartphone - Just5 SPACER 2s. February 2015 - Release of the fourth Just5 smartphone BLASTER with a powerful quad-core processor. July 2015 - Release of two 4G smartphones – 5" Just5 Blaster 2 and 4.5" Just5 Blaster mini. February 2016 - Release of Just5 smartphone - Just5 FREEDOM. March 2016 - Release of Just5 smartphone - Just5 FREEDOM X1. September 2016 - Release of new colors for Just5 Freedom and Freedom X1 series. February 2017 - Release of Just5 smartphone - Just5 FREEDOM M303. September 2017 - Release of Just5 smartphone - Just5 FREEDOM C100. September 2017 - Release of Just5 smartphone - Just5 FREEDOM C105. September 2017 - Release of Just5 smartphone - Just5 COSMO L707. October 2017 - Release of Just5 smartphone - Just5 COSMO L808. Just5 official brand has been created in Latvia. Our products are developed based on our customers wishes. Just5 offers high quality design-made mobile phones for a very friendly price. Manufacturer warranty is 1 year. Just5 proffesional team offers qualitative services and individual approach to every customer. The first Just5 phone: We have started to work on the first Just5 in 2008. Unique design: Just5 Brick is created in 2013 in cooperation with Art. Lebedev Studio. International brand: Just5 phones can be bought in 33 countries all over the world. Bestseller: JUST5 SPACER entered “Tele2” TOP5 of bestsold smartphones. The first Just5 smartphone: At the end of the year 2013 the first Just5 smartphone - SPACER - is released. Copyright © 2009-2012 Just5. All right reserved.